How Can You Learn More Than One Language at a Time? For those of us who struggle trying to figure out how to learn German or any other language, the task can be challenging enough on its own. However, it is possible to learn two or more languages at once. Maybe you love languages, maybe you’re traveling to multiple places, or maybe you simply enjoy a challenge. Whatever the reason, there are easy strategies you can use to help you succeed. But before we get can cover those, we need to understand the benefits of learning multiple languages at the same time. What Are the Benefits of Studying Multiple Languages at Once? Better Brain: Your brain loves being used. Increased use improves its health and function. The amount of brain power that goes into studying multiple languages is an excellent way to boost brain health. Improved Memory: Memory improves with use. And you’ll be needing to remember a lot. Luckily, there are plenty of other strategies you can use to improve your memory even further while undergoing this challenge. Learn More Languages: If you love languages or are simply intrigued by them, then this is the perfect opportunity to open yourself up to them completely. Fight Boredom: Sometimes when you’re learning a language, it’s easy to grow bored and want a break. Studying more than one allows you to switch back and forth between them, providing that needed break while using your time effectively. Improve Time Management: With so much to study and practice, you’ll develop ways to maximize every minute of each day. Despite the benefits of learning multiple languages, you need to understand that it’s an incredibly challenging task. You’re going to need to use the following tips if you want to succeed. You need a clearly thought out plan. The amount of time you’ll need to study will likely double. Time management is key. One great way to do this is to select the best language learning program. A great program is flexible, allowing you to schedule your study sessions around a busy schedule. This will prevent any extra stress or pressure when you sit down to study. Most people take a while to become fluent in German or another language. If you’re trying to learn multiple languages at once, then you should set achievable goals. And you should understand and accept that you’ll probably learn slower than someone who is only studying one language. It’ll take time, but even though your progress is slower with both of them, it doesn’t mean you’re not learning. Given enough time, you’ll achieve fluency. It may be tempting to try and push harder to keep up with those who are only learning one language. But don’t try to rush through the process. It will take time. Your brain will by trying to adapt and master two different languages at the same time. Rushing risks creating more stress that can interfere with your memory. Instead, be patient. Learning similar languages can cause confusion. Don’t do it. If you’re in a German language program already, for instance, you’re better off skipping Dutch. You have an increased risk of mixing up vocabulary and grammar. 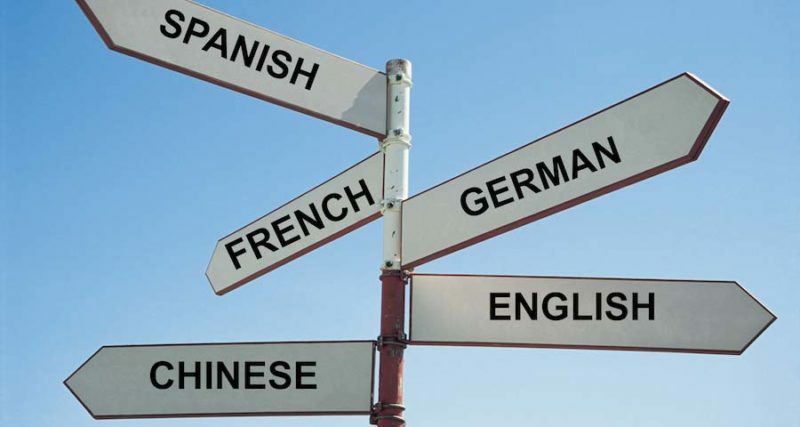 The better option is to pick two very different languages, German and Chinese, for instance. You’ll have to concentrate much more on what you’re doing when you study each one, and there’s less chance of you mixing them because they’re so different. As previously mentioned, you’re going to want to avoid confusion. This is easier said than done. It takes time for your brain to absorb information into long-term memory. While you’re waiting for that to happen, it’s easy to mix things up. The best way to prevent that is to create barriers. There are many ways to create barriers, but the two main ones are to create separate study times for each language and to create different personalities to use while studying each language. Studying one language in the morning and one at night helps keep them separate. And while it may seem silly, taking on a different personae when you speak a different language is a great way to engage more of your brain and boost recall. Don’t be afraid to look silly while you slip on an accent an personality that reflects the language you’re trying to learn. It’s best pick a favorite. Prioritizing one language is better than trying to push them both along at the same speed. Stick to this plan, and you’ll be great at one language and decent at another. And if you feel like you’ve bitten off more than you can chew, then dropping one still leaves you with a decent understanding of your preferred language. This is a bit of a shortcut, but it works. Instead of picking two completely alien languages like Greek and Chinese, you’ll save a lot of time and stress choosing a language from a family that you’re familiar with already. If you know how French or Spanish works, then pick Italian or Portuguese. This will help cut down on the workload. While it’s possible to learn multiple languages at the same time, it’s rare. If you already have a few under your belt, then go for it, the sky’s the limit. However, if you only have your native language, it’s best to stick with learning one at a time, two max. The reason is that you are learning more than just a language. You’re learning study habits and a different way of thinking. You’ll need time and practice to grow more comfortable with it. Once you become fluent in another language, then you can try to learn more at the same time. Instead of translating each of the languages back to your native tongue, try translating them between each other. For instance, if you’re studying Chinese and German, you might create two sets of flashcards, one with Chinese/English and one with German/English. Instead, try creating one stack that uses Chinese/German. You’ll build more familiarity with the words and develop your memory of the language. When you’re starting out, the sheer volume of what you’ll have to study may seem immense. It may help to remember that much of learning a foreign language involves overcoming mental barriers. But if you take the time to plan out your success and use these skills to help avoid the pitfalls people make when studying multiple languages, you’ll be more likely to succeed. And if you’re looking for more ways to succeed at achieving language fluency, then try language learning with Optilingo. Their comprehensive courses support rapid fluency that sticks, something anyone who’s looking to learn multiple languages at once would find beneficial.